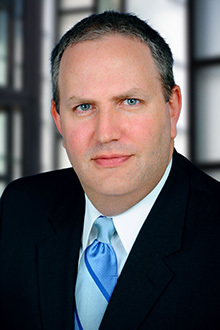 Jeffrey Weinstock is a partner in the Fort Lauderdale office of Lewis Brisbois, National Vice-Chair of the Securities & Corporate Finance Practice and a member of the Corporate Practice. Mr. Weinstock has over 20 years of experience advising public and private businesses, commercial and mezzanine lenders, private equity firms, startups, health care practices and providers, investors and business owners with respect to corporate law, taxation, purchase and sale of corporations and corporate divisions, real estate transactions, commercial loan transactions, leasing transactions, financing arrangements and operation and joint ventures. He previously served as in-house counsel to a publicly traded corporation. Chapter, “So You Want To Be Sued For Malpractice”, BOUNCEBACKS!, EMERGENCY DEPARTMENT CASES: ED RETURNS – 10th Anniversary Edition, Anadem Publishing (2019) – with Richard Milligan and Thomas Himmelspach. Chapter, "New Strategies and Challenges in Today's M&A Transactions", (2014) – with Michael G. Platner. Chapter, “New Strategies and Challenges in Today’s M&A Transactions”, Mergers and Acquisitions Law 2014: Top Lawyers on Trends and Key Strategies for the Upcoming Year, Thompson Reuters/Aspatore Thought Leadership (2014) – with Michael G. Platner. Represented sellers in the sale of a New York based leading provider of construction-related consulting services to a publically traded professional services and investment management company. Represented an affiliated group of companies and shareholders in the sale of a logistics manager that specializes in household goods moves for military personnel to a private equity firm. Represented a family of integrated creative production companies, and a cloud-based provider of software services, in a merger with a private equity firm. Represented a creative production company and a cloud-based provider of software services, in the successful recapitalization in which the company forged a partnership with a private equity firm. Represented a technology company specializing in dynamic personalization for digital media and e-commerce in the sale of its assets to an education technology company. Represented Seller a manufacturer of turbine engine components in the sale of its business to a New York-based private equity firm.